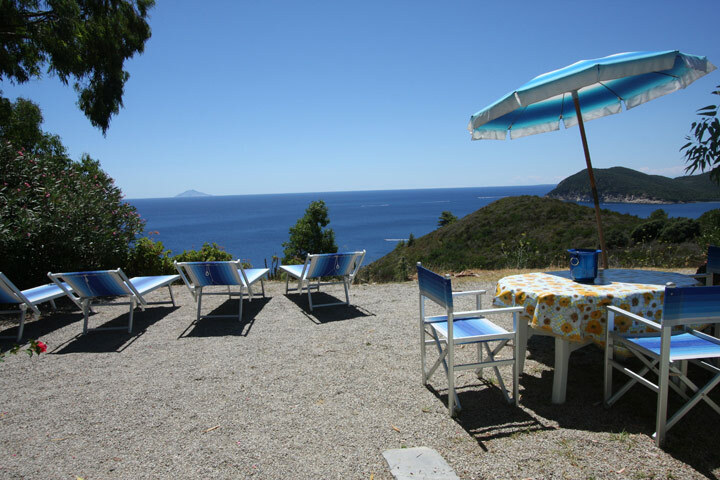 The romantic villa ” La Canzone del Mare” affords a breathtaking view on the Mediterranean sea: it is situated 300 Mt from the sea, at a height of 80 Mt. 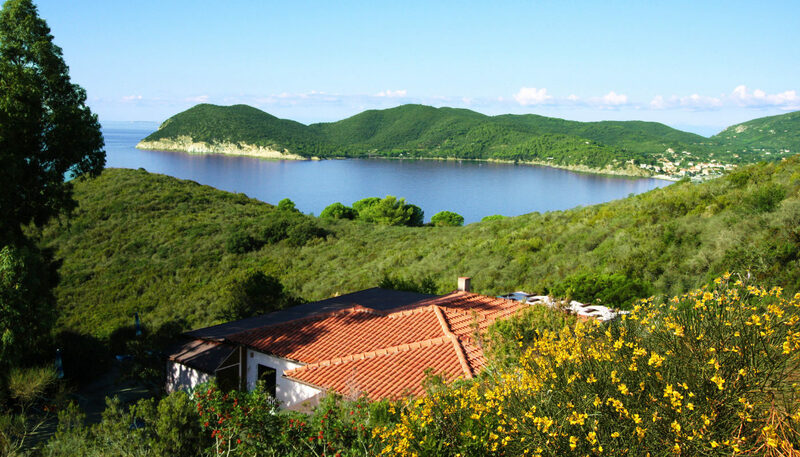 It is a modern villa, hidden in a spectacular setting and surrounded by the scent of the Mediterranean maquis. A panoramic patio and verandas open out into a garden of Spanish broom and bougainvillaea plants. MonteCristo, the island of mystery appears on the horizon. 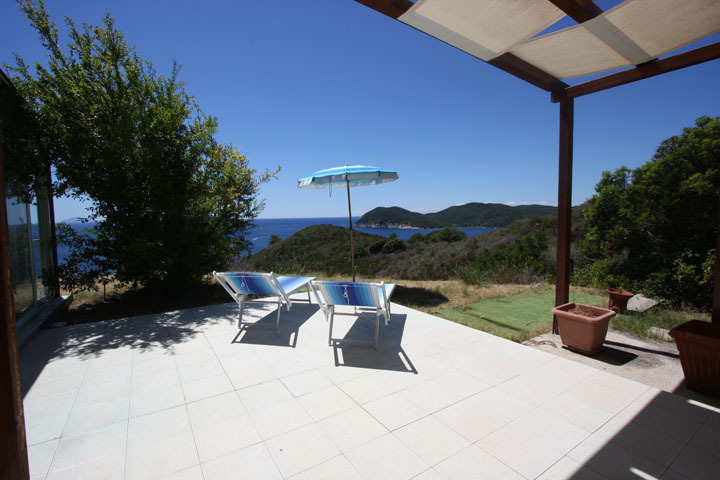 A large private park full of pine trees, eucalyptus and rosemary plants slopes down to the sea. Due to the south facing location it’s possible to enjoy romantic sunsets and infinity views. The garden outside the villa is equipped with comfortable sunbeds where, you may enjoy the quiet beauty of this secluded spot, in contact with unspoilt nature. The villa is divided into groundfloor apartments of different sizes (sleeps 2 till 5). Spacious double bedroom with third bed and seaview- bathroom with shower – spacious living-verandah with dining area, great seaview and Kitchenette.